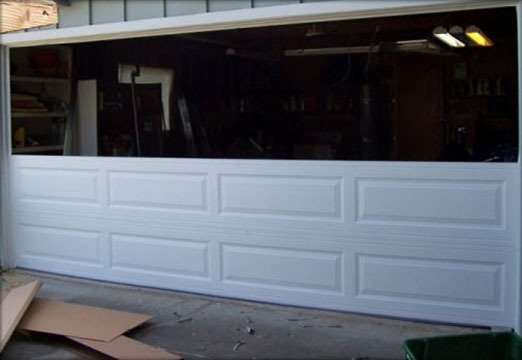 There are different types of garage door panels to choose from. However, there are a few things you should know about them. Metal and steel garage door panels are good for protecting your home safe and secure; they provide a perception of invincibility, so vandals and burglars don’t even think about trying about breaking in. That being said, the single tone color of the doors can be jarring as compared to the rest of the building. Some people paint metal panels, which usually helps improve the look of the garage door panels. Metal panels can have an overlay design that can give the material a more natural look. Unfortunately they don’t provide much insulation, so you have that to contend with. Wood panels are also a great choice because they look warm and welcoming; that being said, they wear out faster due to the heat, cold, and inclement weather. While they might be more aesthetically interesting, they have to be replaced. They also expand and contract depending on the temperature, which could cause a problem in securing them. If you get a garage door with wooden panels, make sure they’re weather resistant. Chances are you’ll have to have the panels custom made and you’ll need the assistance of a garage door technician to properly measure the panels to make sure they fit securely. It’s also highly advisable that you follow through in using the garage door installer to install the panels because they’re already familiar with your garage door.